TORONTO--(Marketwire - September 23, 2010) - P2P Financial today announced the launch of Canada's First Online Business Financing Market where accredited investors can screen and invest directly in business plans and financing pitches from aspiring entrepreneurs. These investment opportunities can range anywhere from $25,000 to over $1,000,000 in any one financing deal and can be in the form of either business loans or direct equity stakes. Although the business plans, investment pitches, and Q&A initiate on P2P's Online Financing Market -- www.p2pfinancial.ca -- all deals are negotiated and finalized through ensuing conference calls and online meetings between the investor and the entrepreneur, all facilitated by P2P Financial. P2P Financial's Online Financing Market is looking to handle the estimated $11 Billion per year that is currently invested in Canadian businesses by informal or angel investors, amidst the more than $90 Billion in total outstanding small business financings. These accredited investors and aspiring entrepreneurs currently have no active market or publicly available venue in which to connect, interact, and arrange these financings. As a result, informal investors in Canada were last estimated to have almost $13 Billion in pent-up money available for private investments while more than 50% of small businesses continue to self-finance their operations. 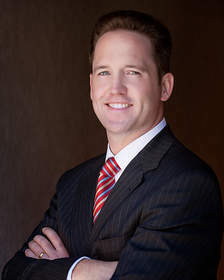 "Until the launch of our online business financing market, financial institutions alone have behind closed doors controlled which businesses are able to obtain credit, who gets to participate, and the terms of these financings," said Matthew McGrath, President and CEO of P2P Financial Inc.
"This one-sided control inevitably produces market inefficiencies -- leading to excessive financing charges for entrepreneurs and businesses, all the while preventing investors who have money to invest from leveling the playing field and profiting from this vital and lucrative market," said Matthew McGrath. "P2P Financial's online market gives accredited investors and aspiring entrepreneurs the necessary tools and online platform to take back the marketplace for business financings and investments," said Matthew McGrath. P2P Financial's online market provides accredited investors a steady stream of entrepreneurs to invest in directly. The investors can browse through each opportunity's business plan, financials, risks, and management team's track record. With P2P Financial, investors can then speak directly with the entrepreneurs through prearranged conference calls and online meetings. Prior to arranging any deal, investors get total transparency as to the names and identities of the businesses they're investing in while each entrepreneur gets screened rigorously. From there, the accredited investors get to negotiate and set the terms of the deal: anything from a high interest collateralized loan to a direct equity stake in the business. Once invested, the investors get online account access to track their investment returns on an ongoing basis. P2P Financial takes care of the logistics, filing, and paperwork. There are no banks, no brokers, nor any fees or commissions paid by the investors. P2P Financial makes its money through charging the entrepreneurs and businesses a set percentage of monies raised and interest charged. P2P Financial launched Canada's First Online Business Financing Market where accredited investors screen through business plans and financing opportunities to invest directly in aspiring entrepreneurs and their businesses. P2P Financial's commitment to democratizing the business investing and financing landscape has been widely recognized as the new era in small business investing. P2P Financial was founded by Bay Street Veteran Matthew J. McGrath, former Vice President at RBC Dominion Securities. P2P Financial is based out of Toronto at 2 Bloor Street West, 7th Floor. P2P Financial's Online Business Financing System was developed under McGrath's direction and its technology is currently under patent pending protection. Matthew McGrath, President and CEO of P2P Financial Inc.